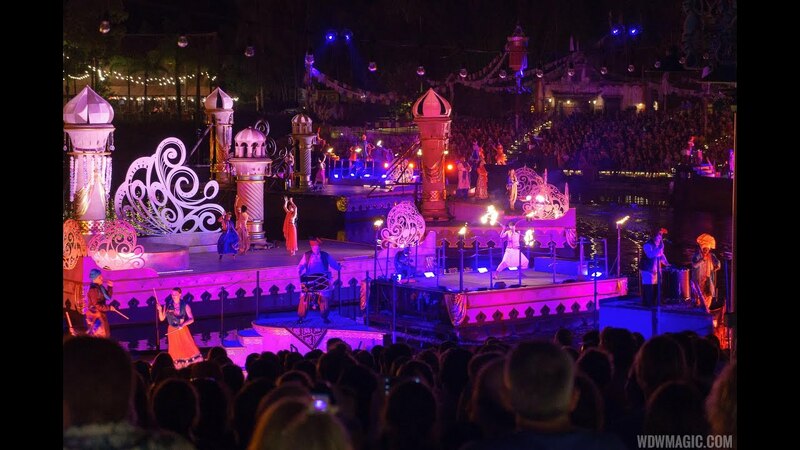 May 20, 2016 in "The Jungle Book: Alive With Magic"
The Jungle Book: Alive with Magic will officially open on May 28 2016 at Disney's Animal Kingdom. FastPass+ and dining packages for the show will be available from May 21 2016. Also beginning tomorrow will be availability for dining Package which include reserved seating for the nighttime show. At all-you-care-to-eat Tusker House Restaurant, you can choose the breakfast, lunch or dinner buffet on the day of the show (but you have to dine at least 2 ½ hours before the show). Breakfast is $37, $23 ages 3 to 9, plus tax and gratuity; lunch and dinner, $49, $30 ages 3 to 9, plus tax and gratuity. Tusker House Restaurant is on the Disney Dining Plan and counts as one table-service meal. Reservations will open tomorrow, May 21 for Dining Packages for The Jungle Book: Alive With Magic nighttime show, and can be made by visiting DisneyWorld.com/dine or by calling 407-WDW-DINE.